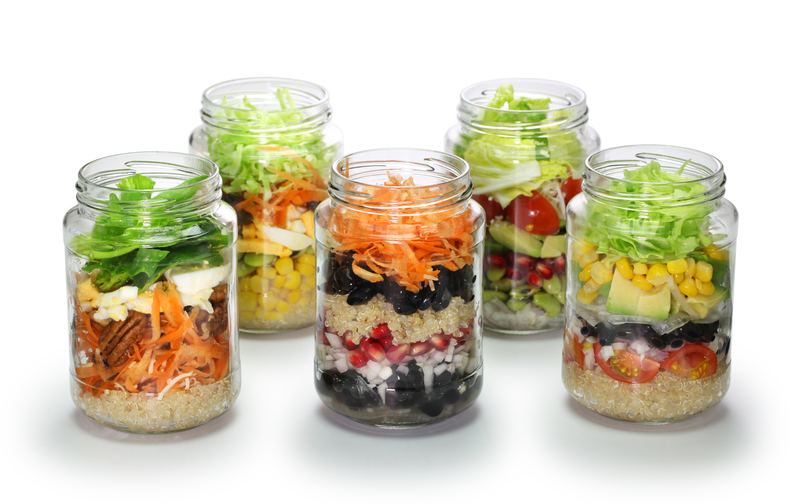 DO YOU NEED A MEALPLAN TO LOSE WEIGHT? Most people who have tried to lose weight in the past and regained some or all of the weight they have lost, already know what they have to do in order to lose weight. They know what to eat and what to avoid, they know about portion sizes and calories. They know a lot about nutrition and when they join the next weight loss programme, they look for a meal plan, believing this will be the answer to losing weight and keeping it off. We have been conditioned to believe we need a meal plan in order to be successful, and that’s not surprising. Any meal plan that reduces your calorie intake will be successfully helping you to lose weight. Meal plans might be great for you when you start your weight loss journey and they help you to reduce your calorie intake, but is it sustainable to be on a meal plan to lose weight and maintain weight loss? Meal plans rarely last. At the beginning, you find you are really enthusiastic and follow the plan exactly as prescribed. However, meal plans are difficult to follow all of the time. Events may be coming up, like birthdays, weddings, communions, etc. What happens then? Well, some people use a special event to come off their meal plan, which can often lead to giving up completely. The reason for this is that thoughts like “Here I go again, I can’t stick to a plan”, or “I have eaten everything around me because it’s not fair that everyone else is having a good time and I can’t”, and “Now I might as well give up, this is too hard”. If you are following a meal plan and don’t allow yourself some flexibility, you will also start to resent having to follow a plan and again, give up. Psychologically you might start to rebel and start blaming the plan for not losing weight. Following meal plans also leads to an “All or nothing” mentality. You’re either on the plan or you are off the plan. This is unhelpful thinking as it also leads to self-sabotage and you may beat yourself up for not being able to stick to the plan, and therefore give up. So, what is the answer to sustainable and lasting weight loss? A sustainable way to lose weight is to understand how to eat healthy and then find how you can make changes slowly and gradually to your food choices and learn a manageable way to implement them into your life. The advantage is that you are doing this one step at a time, you don’t have to be “All or Nothing”. In the process, you learn what works for you, what foods do you really like, and experiment and change your eating habits slowly. This way you won’t feel deprived, you won’t beat yourself up when the next event is happening and you find it hard to stick to a regime, and you won’t eat everything on the buffet either, because you will be thinking differently about your food choices. In practical terms, you might start off by increasing your water intake. This alone will already help you to feel better. The next step might be to look at your breakfast. 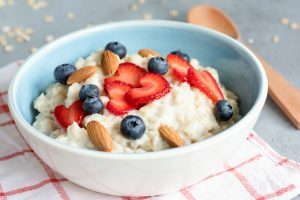 Maybe you can replace your high sugar cereal followed by toast, to porridge with some blue berries. Then start looking at your midmorning snacks. Can that latte be replaced with an americano? And can the midmorning muffin be replaced with a whole meal scone? 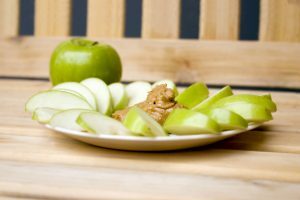 Then gradually change your snack to a piece of fruit and some nuts. 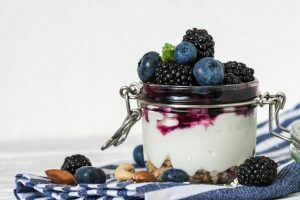 By using this approach you will learn how to make healthy options at each meal and snack, you will find you are able to sustain this approach, you won’t give up – because there is no plan to give up, and most of all, it will give you the control and confidence to lose weight for the last time!